A pair of recent transactions created challenges and solved problems for buyers, sellers and their advisers. When it was acquired by Morgan Properties in late 2017, The Mark Portfolio was a standout as Virginia’s highest-priced transaction of the year and among the biggest multifamily deals of the year. The portfolio’s 2,664-unit multifamily component had much to recommend it to its new owner, a privately held investor based in King of Prussia, Pa. It is located a few minutes from downtown Washington, D.C., in Alexandria’s Seminary Road submarket. It is also in the I-395 corridor, a cluster of government agencies and federal agencies such as the Pentagon, the U.S. Patent and Trademark Office and the Defense Department’s Mark Center campus. In all, three interstates are within easy reach. The deal amounted to a major milestone for the property’s new owner, It was the second-largest deal in the company’s history. “We felt this deal was a once-in-a-lifetime investment opportunity to acquire significant size and scale to generate operational efficiencies and enhance the value of the assets,” explained Jonathan Morgan, president of Morgan Properties JV Management, at the time of the deal. 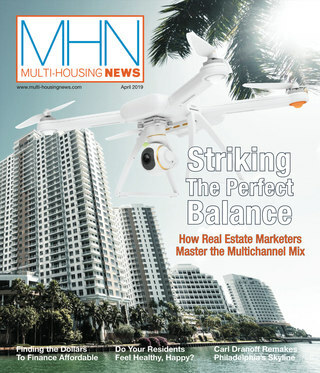 Acquiring a large multifamily asset was in its wheelhouse. Over the past seven years, the company has acquired more than 24,000 units valued at upward of $3 billion. Yet Morgan Properties was also venturing into new territory in at least one crucial sense. Besides its residential component, the Mark Portfolio included one more element: The Shops at Mark Center, a 63,320-square-foot grocery-anchored retail property occupied by such retailers as CVS, Global Foods, Starbucks and SunTrust Bank. Even for a seasoned multifamily player, acquiring and operating a retail center represented new territory. “As a best-in-breed Class B multifamily owner-operator, a major challenge we faced was learning the operational ins and outs of a commercial property,” Morgan reported. His team had to familiarize itself with operations for an entirely new asset class. That meant getting up to speed on retail tenants, leases and operating expenses. To do this, the company partnered with JBG to assist with marketing and to lead lead leasing and brokerage. “With their help, we’ve had much success in leasing and retaining a majority of the previous tenants,” Morgan added. Morgan Properties has big plans for the multifamily component, as well. The company bought the portfolio with a value-add upgrade in mind. The Apartments at Mark Center consisted of six adjacent garden-style apartment communities: Hillwood, Stroneridge, Meadow Creek, Lynbrook, Brookdale, and Willow Run. As part of a $35 million upgrade, Morgan Properties intends to turn those communities into four larger ones in order to maximize operational efficiencies. Besides this consolidation, the firm is also upgrading units, 97 percent of which remained unrenovated at closing. Plans call for upgrading kitchens, boosting curb appeal and enhancing exteriors, as well as installing more than 2,200 new washers and dryers. Regarding amenities, Morgan Properties is renovating the Pavilion clubhouse with a state-of-the-art fitness center, a business center, a movie theatre, a club room, a putting green, and dog park. The fast-moving process that led to the sale of SunTrust Tower began in late April 2018. Colliers International Northeast Florida had been assigned months earlier to lease the half-occupied 23-story tower at 76 South Laura Street in downtown Jacksonville, which had more than 170,000 square feet of vacant space. Colliers knew that VyStar Credit Union, a Jacksonville-based regional bank, was looking to purchase a building in downtown Jacksonville with rooftop signage opportunities. Seeing an opportunity in SunTrust Bank’s July 2019 lease expiration, Colliers approached the joint-venture owner, Mainstreet Capital Partners and CarVal Investors, and asked whether the asset was available for acquisition. The owners said yes, setting the wheels in motion. The sale price was comparable to what it would have been if the asset had been leased up and taken to market. Diebel estimates that Mainstreet Capital Partners and CarVal Investors saved several years and as much as $10 million in tenant buildouts and leasing commissions. For VyStar, acquiring the property addresses long-term space needs. Rapid growth has forced the company to move some of its back-office staff from its headquarters at 4949 Blanding Blvd. about 20 miles to a call center in Fleming Island, a Jacksonville suburb. “We know that the shuffling of employees creates uncertainty and stress for them and their families. We felt it was time to bring them back to one location,” said VyStar President & CEO Brian Wolfburg in the June 7 statement announcing the move. VyStar will occupy two large spaces in stages. First, a 110,000-square-foot space on six contiguous floors is in buildout and will be ready for occupancy in early 2019. After SunTrust’s lease expires next July, VyStar will occupy another 70,000 square feet, including a first-floor retail space. One potential hurdle could have been a concern about insufficient employee parking. The clincher came when the city of Jacksonville offered Vystar the partial use of a new municipal parking structure under construction about a block away. The city’s commitment helped diffuse any parking concerns VyStar may have harbored, Diebel noted. 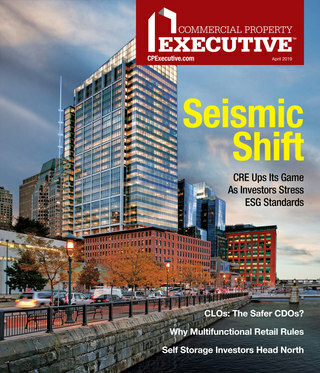 Read the September 2018 issue of CPE.